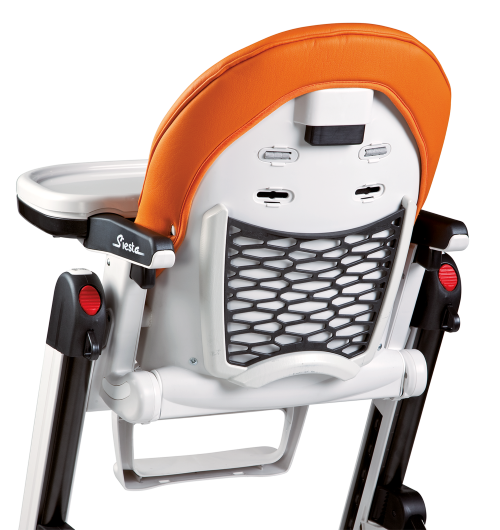 This Peg Perego Siesta High Chair is a multifunctional, ultra-compact high chair that easily accommodates a child's growth. 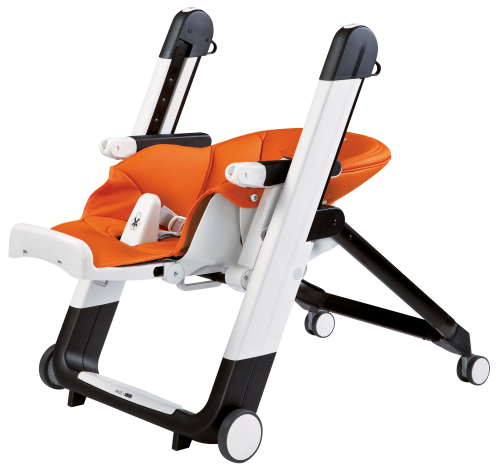 From birth, the Siesta can be used as a recliner or as a high chair for feeding, playing and resting. 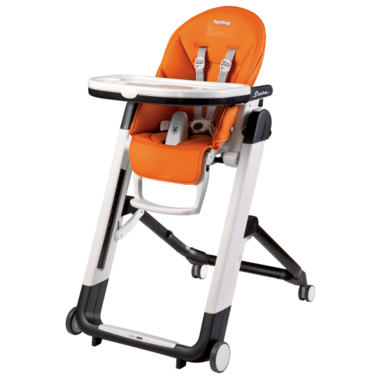 The removable tray and multiple height positions allow child to sit right at the table. So far I really like this chair, the adjustability is awesome and I love that it folds up so compactly when not in use. 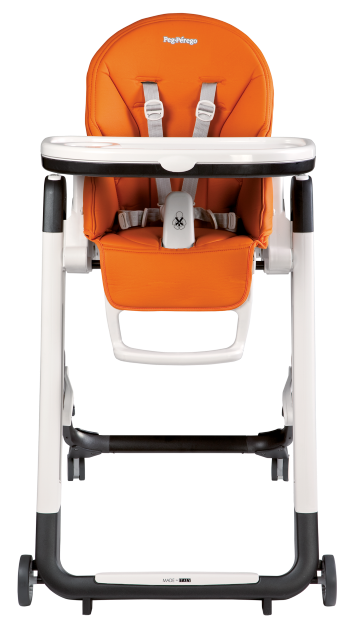 The rolling takes a little bit to get used to because the front wheels don't swivel but the chair is super easy to go from room to room. Seat feels very comfortable for the little one, I did have to purchase the booster cushion to use before 6 months because I couldn't get the straps to go tight enough. Overall great chair and very happy with purchase! Love this chair! My 10-week baby girl wants to be in my arms all the time but she will stay in her siesta chair for up to 30min when I have to put her down for cooking. Very well made, very comfy, worth the money.